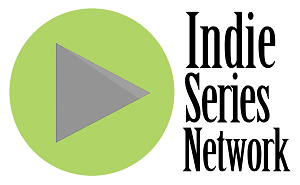 The results are in from "Indie Series of the Week" poll for web series that aired June 8-14, 2014. Red Sleep was voted favorite web series of the week. A new episode of An Actor Unprepared was second, followed by the latest from Past Meets the Future, and the premieres of Other Men and Pride. Akhu ("Darnell") from Red Sleep was voted Favorite Actor of the week. Jessica Sonneborn ("Katrina Long") from Red Sleep was voted Favorite Actress of the week. The Favorite Couple/Duo for the week was Clyde & Claire from Red Sleep. - Acting Dead Episode 6 "This Town Needs an Exorcist"
- An Actor Unprepared Episode 3 "An Actor Underpitched"
- Bushido Man Episode 3 "Nunchaku"
- Chris & Josh Season 2 Episode 6 "Netboys"
- Friendship is the Best Ship Episode 3 "Friendship Is An Adventure!" - Lungs Episode 15 "Warnings"
- Past Meets the Future Episode 12 "Tricks and Trade"
- Red Sleep Episode 6 "Jealousy"
- Still Episode 9 "Memories"
- Winners Episode 13 "Auld Lang Syne"
- Youthful Daze Season 2 Episode 11 "Speed Bumps"